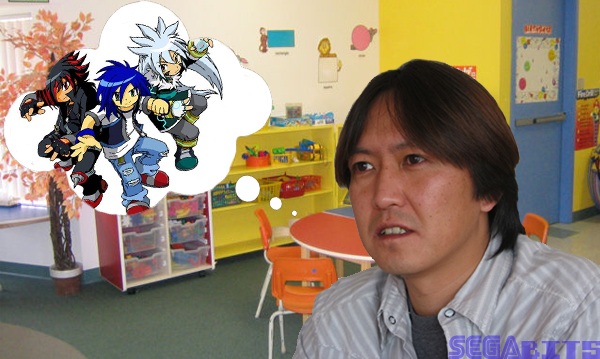 Update: Turns out that Iizuka didn’t say anything about Sonic Team’s next game in the 4Gamer interview. The quote below was taken from Softpedia’s article about the interview, in which the author likely speculated about their next Sonic game. It has been mentioned in previous interviews that Sonic Boom won’t replace the regular Sonic series, but nothing regarding what Sonic Team’s next game is like nor when it will be revealed. We at SEGAbits apologize for reporting on false info and wasting everyone’s time. “At the moment, the core Sonic team at SEGA is working on a new title that will use the traditional look and mechanics of the series, which will get more details later during the year. I wonder what Sonic Team considers ‘traditional’ seeing as how Sonic’s gameplay has changed a lot in the last 20 something years. Is two Sonic games this year too much? Sorry then, fake and you are still not going to play Sonic then kid. Sounds good. Please, please, please, PLLLEASE, no more Solo Sonica! We’re tired of playing as just Sonic. At least have Tails playable for added replay value. I really hope it plays something like Sonic Generations ‘modern sonic’ or Sonic Colours… I really believe they nailed the gameplay with those games. Seamless switching between 2D and 3D gameplay is the right direction for the series. I agree with the 2d/3d gameplay, but I hope there’s no boost. I really don’t miss that mechanic. go whole hog with the idea. Sonic 4 Episode 3 confirmed. I can’t imagine they would release an additional Sonic title so close to Sonic Boom. I would assume this new title to be more of a winter 2015 release. I think that Sonic Boom frees Sonic Team up from a LOT of the requests SEGA West usually lays on them. Are there any two Sonic fans who would agree on what “traditional” means? I think Sonic has everything to be an extremely epic game, it is necessary to change many things in the game, many things yet.